OLD PARKED CARS. 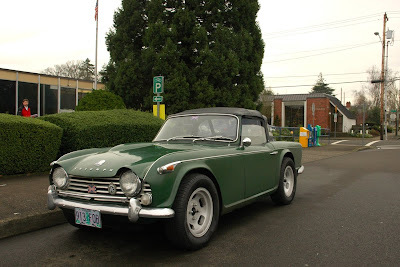 : 1966 Triumph TR4A. OMG, just dropped my jaw in awe when I saw these pics. 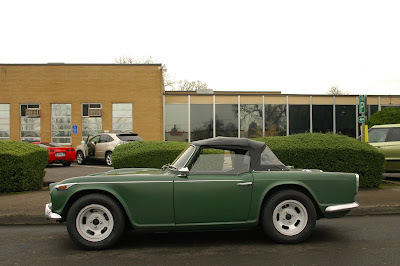 this is the best tr4 I have ever seen. those slot mags are a great asset to the look of the car. beautiful ride, I will stir in it's beauty for several more minutes. 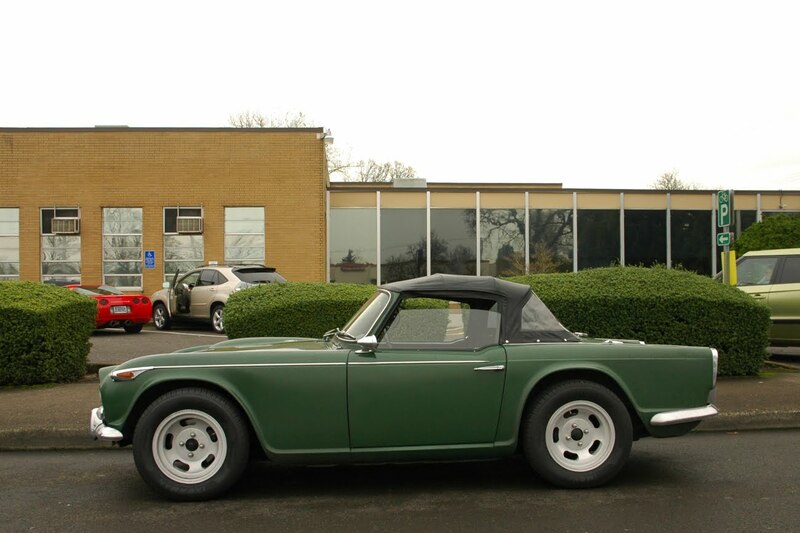 TR4 in British Racing Green+slotmags=win. slot mags look good on anything, but in this case i think the diameter is slightly too big for the car. looks like a matchbox or hotwheels. this really needs a set of 13" minilites or some redrilled Libres. The TR's had large diameter wheels with a narrow width. 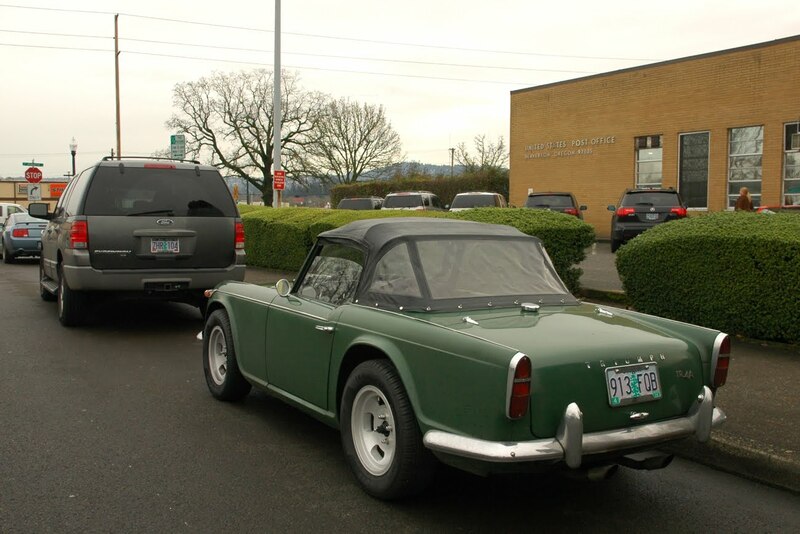 The tire may have a slightly higher side profile due to a non-stock mag-wheel width ratio.